ACM International Ltd has designed and manufactured engineering components since 2004 supplying to the domestic and commercial building industry and the oil and gas sector. Together with its sister company Upsyde International Inc, www.upsyde-intl.com, ACM cover European, MENA and SEA markets. ACM design starts at the conceptual stage and evaluates the requirements and options for the end product, Following dimensional design, a 3D CAD model is developed and stress analysis performed on key load bearing components to ensure the deign is fit for purpose and meets all client requirements. At the manufacturing stage we make up samples to ensure the end product meets client requirements. Once these are fully approved we make up the tooling to commence production. 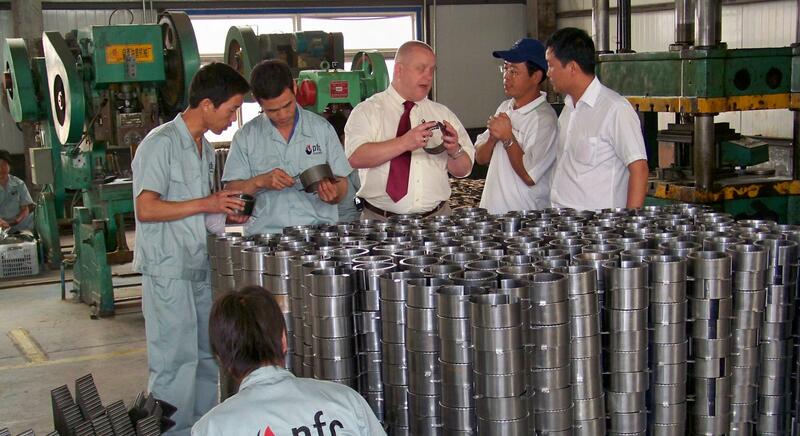 We have a solid track record of fast track development and ramping up production to meet sudden demand. To ensure the quality of our products we manufacture to client and internationally recognised standards. We operate a fully approved ISO 9001 :2008 quality stem. 1S0 14001:2004 and OSHSAS 18001:2007 certification held by our sister company. With a strong design background, ACM has the capability to assist Companies with the development of products from a blank sheet of paper through to prototypes and the final working component. Having manufactured a wide range of non-metallic and metallic components ACM have produced high volumes of consistent quality developed by experienced engineers and high quality technical staff.